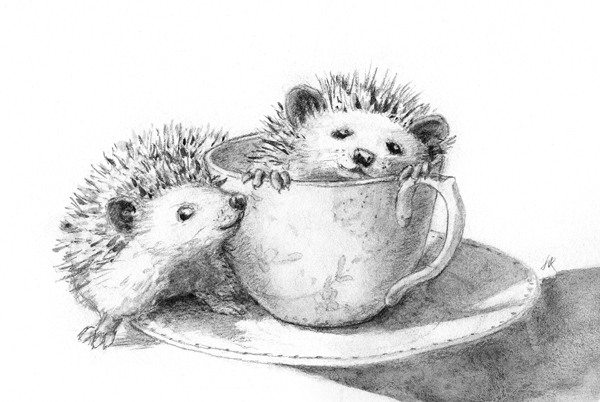 Today we interview the awesomely talented illustrator Jen Betton. 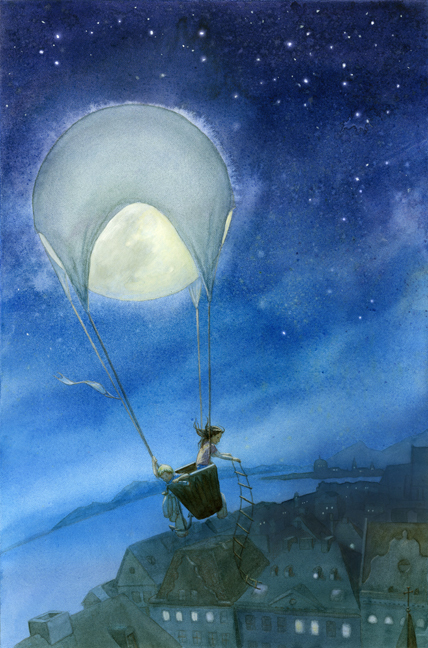 Jen has won numerous illustration awards and received the SCBWI Mentorship Award in 2012. 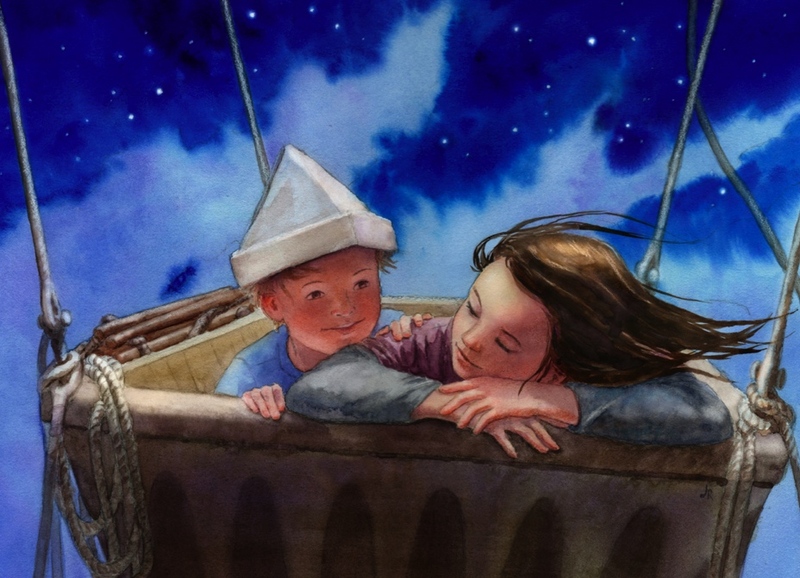 Tell us about your background and how you came to children's illustration. I've always loved reading, loved stories. I also always loved to draw. As natural a fit as illustration is when you combine those things, it took me some time to pursue illustration. It was one of those pie in the sky dream jobs for me, and it took a while for me to realize I could actually go for it. I originally went to school for English literature (I know, so much more practical than illustration, right? ), and then switched over to art. I didn't know at the time that there were actual programs in illustration, and by the time I did I'd already finished my bachelor's degree. So I went to the Illustration Academy during the summer, and Syracuse's MFA program during the school year. Well, my daughter (she's 8 months old now) is my major project at the moment! But I have a dummy, MOON GARDEN, that is almost "done" (ie, awaiting the next round of revisions) that I'm quite excited about. It's a black and white, wordless picturebook. It takes place in a fantastical, black and white world where a little boy finds a beautiful, colorful flower. He steals the flower and runs away, and then he has to decide what to do when he's gotten away with it. Aside from roughs and finishes for the dummy book, I'm also working on a couple story ideas and manuscripts that aren't ready for images yet, and some elephant sketches, just for fun. What are the 1 or 2 things you've done that have most furthered your career to date? Skype and SCBWI. Or rather, community and persistence. The thing that has helped me find the most community is SCBWI, and community helps me be persistent. Joining the SCBWI mentorship program gave me a group of wonderful people all roughly at the same point in their illustration careers, and all pretty serious about it. Even though we all live far apart, some of us started Skyping every week, and these friends (Maple Lam and Lisa Anchin in particular) are incredibly encouraging. I know when I sign on this week that Maple will probably have finished a dummy over the weekend (no joke) and Lisa will have two new story ideas. I need to keep up! So I encourage everyone to do all they can to find a community – near or far. Tell us more about the SCBWI Mentor program. How has that affected/influenced your work? In two ways, one is the community of peers aspect, which I mentioned already. The other is the clarity that I got from hearing the 5 mentors all evaluate my work. One critique is great, but 5 all at the same time really helps reinforce what is really important to work on. My portfolio the year after becoming a mentee was so much stronger than the year before. It was smaller, more consistent, with more action, more series of images, more children. The mentors also encouraged me to try developing my own story ideas, which I'd always figured I'd do eventually, but hadn't been working on. So that is another big change. Can you walk us through your illustration process? First, I always start with thumbnails. In the thumbnail stage I'm always working on two things - the concept and the composition. Sometimes I'm working on both in the same images, and sometimes this takes two rounds of thumbnails to nail down. Once I have a rough composition, I usually start doing my research. I get reference images along the way for inspiration or to make sure I'm drawing something correctly, but after the composition stage I get more serious – I do any historical research that is needed, and I take my own photos whenever possible. Friends and family get bribed into posing for me all the time. At this point I'll usually blow up my thumbnail to 2 or 3 times it's original size and work over the top of it via tracing paper or a lightbox so that I can maintain the same composition, while working on a clean, more finished drawing. Along the way I'll also have done a few color studies, and sometimes value studies as well (I work in watercolor, so in addition to being able to show the client exactly what they are going to get, I like to have all my drawing, lighting, and color questions answered before painting, as it helps me work faster and more confidently, and with less re-painting). After I have all those pieces (photos, drawing, color studies, value studies), I'll transfer the drawing to illustration board. Sometimes I use my printer to print the image on thin illustration paper (if it's super complicated or has a lot of perspective), but usually I just transfer it with some homemade graphite transfer paper (made with powdered graphite and tracing paper). Then I'll do a clear water wash to set the drawing a bit (makes it harder to wash off during the painting process), tone the surface with a base color to unify the colors, and start blocking in my image. I work pretty directly rather than in a lot of layers, which is partially because if I have a good value study I don't have to work up gradually, and partially because my painting surface doesn't layer well with dark colors (they tend to lift). Sometimes I'll add colored pencil or pastel over the watercolor, and sometimes I add or edit a bit in Photoshop. Where do you get your inspiration for stories/images? Sometimes something just pops in your head and it works, but more often there is an extensive brainstorming process. For images, this is thumb nailing. The first thing that I think of is usually the most literal and not the best solution, so even if I like a concept I'll make myself thumbnail a bunch more ideas before picking one. For stories, the brainstorming involves asking myself a bunch of questions. Several times now I've gotten an idea from a phrase, and then asking myself "what if?" MOON GARDEN started that way – asking myself "What would a garden on the moon be like? Who takes care of it? What if...." And then of course lots of revisions. What is one thing most people don't know about you? I can wiggle my ears! Jen is a illustrator in the Boston area. 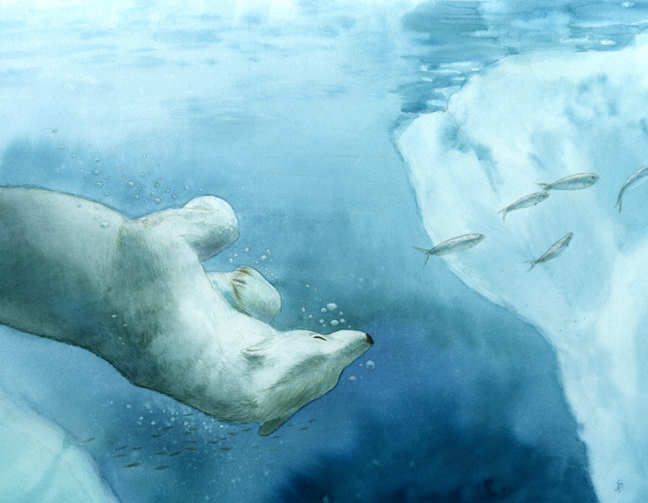 She has an MFA from Syracuse University, and also attended the Illustration Academy. 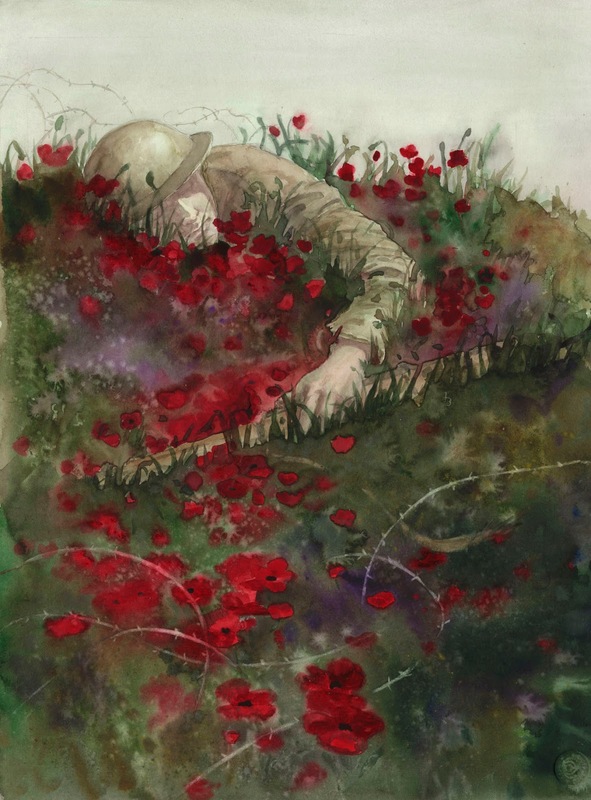 She works primarily in watercolor, and she loves solving visual problems and bringing a story to life in images. She freelances with a variety of children's educational publishers and magazines. 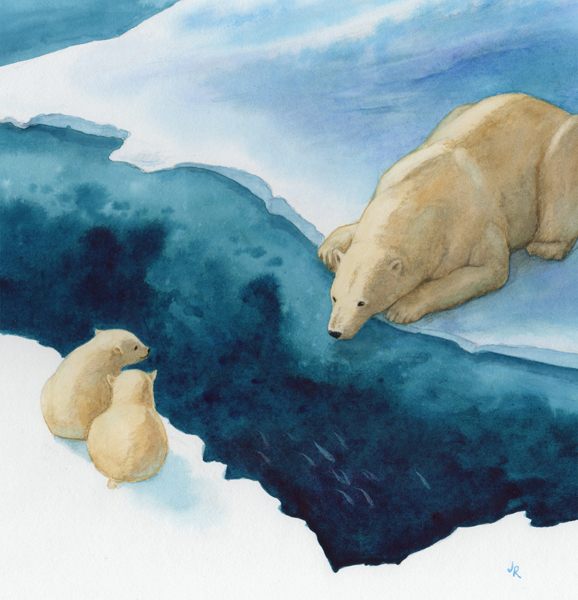 Her work has won a number of awards, including 3rd place in the Children's Market category of the Society of Illustrators Los Angeles competition, the grand prize at the New England Society of Children's Book Writers and Illustrators portfolio. Those pieces shown here are absolutely beautiful! Jen's Moon Garden story sounds magical. I look forward to reading that when it comes out. Thanks for the interview showing us how she works and what helps her succeed! What a great interview! Thanks so much Sylvia and Jenn!